With today’s technological advances in the mobile phone industry, it is becoming commonplace for young and old to be unable to disengage from their mobile phone. Today’s smartphones provide their users with the ability to have a handheld organizer, a multimedia player, a camera and an Internet browser along with the ability to make and receive calls and texts. Although these features are wonderful and can help people complete day to day tasks and socialize with their friend and family, many people have difficulty laying down their phones when they should be socializing with friends or family members or even completing work assignments. – Mobile phone addiction is very common. Because of the popularity of smartphones, mobile phone addiction has reached epidemic levels. – Recent studies in the UK, show that adult smartphone users check their smartphones 33 times a day. When it comes to teenagers, this number increases to 90 times a day. 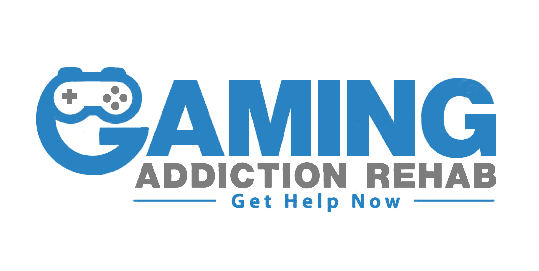 At a Teen Cell Phone Addiction Treatment center, the first thing that must be done is to put limits and structure on the teen’s cell phone usage. Some teens are resistant to these limitations; however, within a short amount of time, the teens do not feel as pressured to always be attached to their phones and often report a sense of relief once their phones no longer have a hold on their lives. With just a few simple changes, the teen’s cell phone habits can change and they can begin to develop healthier cell phone usage habits. Additionally, as the teen begins to set their phone down, they begin to realize how their phone negatively impacted other areas of their lives. Clinicians agree that cell phone addiction is a behavioral disorder. This disorder causes the sufferer to obsess about their cell phones. This addiction begins to affect their day to day life. Phone addiction, just like any other type of addiction, can be difficult to stop on your own. Regular usage of a smartphone can quickly descend into an addiction. cell phone addiction can make it impossible for men, women and children to be actively engaged with the real world. This page is all about cell phone addiction, so let’s stop right here and define some of the terminology used. The DSM-V proposed a new classification that can be used in diagnosing cell phone addiction. This classification is Internet Gaming Disorder. Although Internet Gaming Disorder is not an official diagnosis, the American Psychiatric Association has requested additional research on this classification. In the future, after more research is completed, the APA may decide in the future to list this as an official diagnosis. We, on the other hand, prefer to call cell phone addiction a habit rather than an addiction because the word “addiction” can be overwhelming. Typically, people “try” to overcome an addiction. This provides them with a built-in excuse for failure. By calling this a habit, people understand that habits are learned and can be unlearned. Calling a cell phone addiction a habit empowers the cell phone user and helps them develop the right mentality to learn how to balance their use of their cell phone and begin living their lives once again. If you feel like you cannot part with your cell phone or you have gotten a large cell phone bill, there are several things that you can do to help lower your usage and begin to experience life again. 1. Track How Much Time You Spend on Your Cell Phone – Although it is a pain to keep track of your usage, it will help you take a close look at how much time you spend either talking, messaging or playing on your cell phone. Keep a notepad nearby and write down when you are doing activities on your phone. Keep this journal for a week and review how much time you spend on each activity. 2. Begin Weaning Yourself Away from Your Cell Phone – Once you have found out how much time you spend on your cell phone, it is time to begin cutting back on your usage. Begin slowly and choose one of the least important activities on your phone. Commit to reducing the amount of time you spend doing this activity by 10 percent. For example, if you currently spend 10 hours each week on text messaging, aim to cut messaging time down to 9 hours. By setting a goal, you will be more conscious of the amount of time spent on your phone, which can help encourage you to spend less and less time on your cell phone. 3. Commit to Stay in the Moment – One of the reasons that people spend so much time on their cell phones is because they want to be with another person in another location. Although this is okay when you are waiting in line, it is not okay when you are with a friend or family member who is trying to have a conversation with you. Commit to turn your cell phone off or put it away when you are engaged with a friend or family member. In addition to helping you overcome your addiction, it shows respect and the importance of those you are spending time with. 4. You Really Do Not Need to Be Connected 24/7 – Many people stay on their phones because they feel it is necessary to stay in constant connection with everyone. Additionally, many people feel as if they must respond immediately to any type of communication they receive. If you suffer from hyperactive connectivity issues, research has shown that it is not healthy and your relationships with others begin to suffer. A quality romantic relationship, a social friendship and work cannot be completed using 180 character messages. Although it can be fun to read, these messages do not lead to a high-quality relationship. Additionally, being hyper-connected can actually create anxiety in your life. 5. You Are Not as Important as You Believe – Many people continually check their phones because they feel they may receive something that requires their immediate attention. We understand that there are a few jobs that require this diligence; however, 99 percent of people do not need to continually check their email and messages. There is rarely anything that cannot wait until you get in the office. If an issue does arise, someone will call you rather than send you a message or an email. 6. Turn Your Phone Off – There is nothing that will require your attention in the middle of the night, other than an emergency phone call. You can turn your phone off or turn off all notifications other than phone calls. Unless you have a sick family member or a child who is out at night, your phone should be turned off. Commit to a specific time when you will stop using all technology. Then, do not pick your phone back up until the next morning. 7. Technology Should Work for You – If you find that your technological devices are controlling your life by causing stress, anxiety, financial hardship and relationship troubles, then you need to act quickly. Technology should work for you rather than against you. Rather than spending time on your phone, it is time to begin living your life and controlling the amount of time you spend on your phone. Lay your phone down and begin interacting with those you love and enjoying the things in life that make it worth living. Determine specific times when you will check your notifications rather than continually checking your phone.